It's been a fabulous week and I was busy, busy! 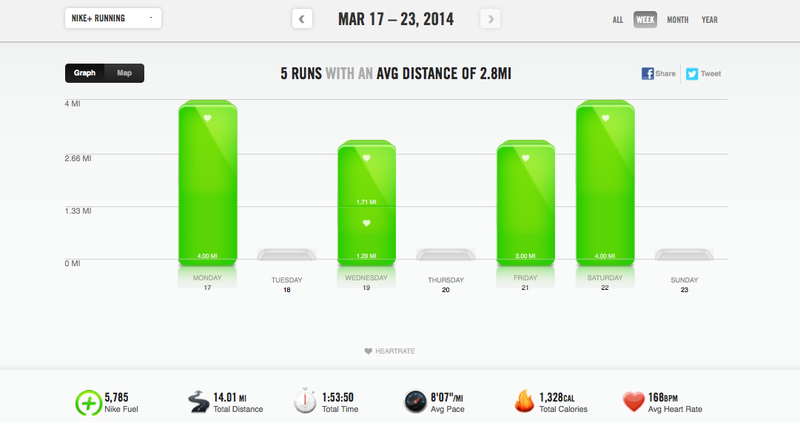 For starters, I ran 4 days this week totaling 14 miles! I’m psyched. My lungs are still trying to play catch up but overall it feels great to be back on the roads. · I spent an awesome Friday night in Boston celebrating my birthday with Lizzie and Gabby. Delicious dinner & dessert at Teatro, fun drinks, great company and a night filled with dancing. You guys are so good to me. Oh and I can’t forget about brunch (The Friendly Toast) and the massive amounts of food we ordered. Pumpkin Chocolate Chip Pancakes with real whipped cream anyone? OUR diet starts tomorrow! · My Mashpee Fitness modeling plus some TRX Progressions from Catie. Check it. Time to get back on track with running, healthy eats, and more blogging! What topics would you like to read about?